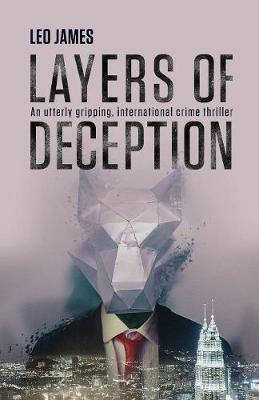 You are browsing: All Layers of Deception: An Utterly Gripping, International Crime Thriller. Leo began writing during his recovery from a serious fall into a storm drain whilst on business in Singapore. To this day, he has not solved the mystery of who pushed him. Stuck in hospital, Leo found it cathartic to write. It helped with his recovery, both mentally and physically. That was the start. Once back to work, and travelling internationally, he would write everywhere: on planes, trains, staying at hotels, basically at any given opportunity. Leo worked for over 20 years in global information technology. He is an expert in cryptocurrencies, blockchain and cybersecurity. In addition, Leo is a practicing therapist in clinical hypnosis and cognitive behaviour therapy. Born in the UK, he graduated from Illinois State University in America. He has a postgraduate qualification in behavioural therapy from the University of West London in the UK.